So now that all the holiday and new year festivities are over, what are you supposed to do if you want to get your drink on? I’m here to help. I’m always thinking of you. 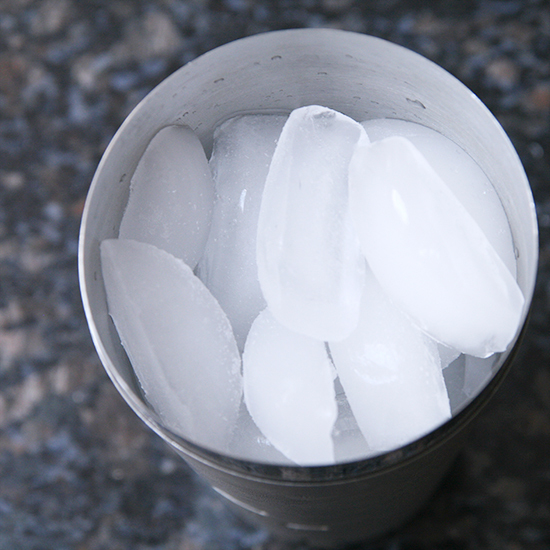 And also, I wanted to get my drink on, in a wintery but refreshing way. 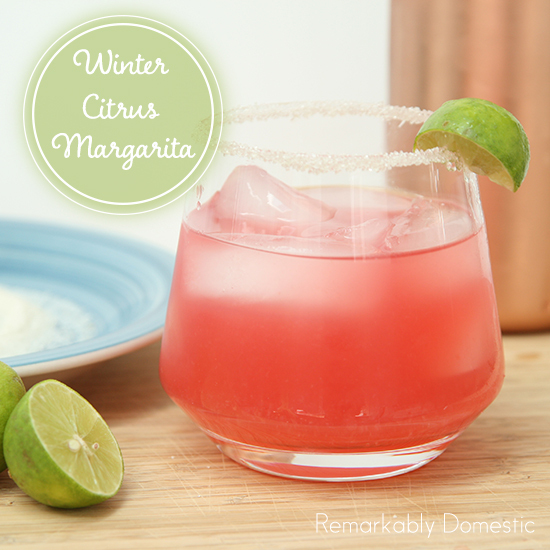 What’s more refreshing than a margarita in January? 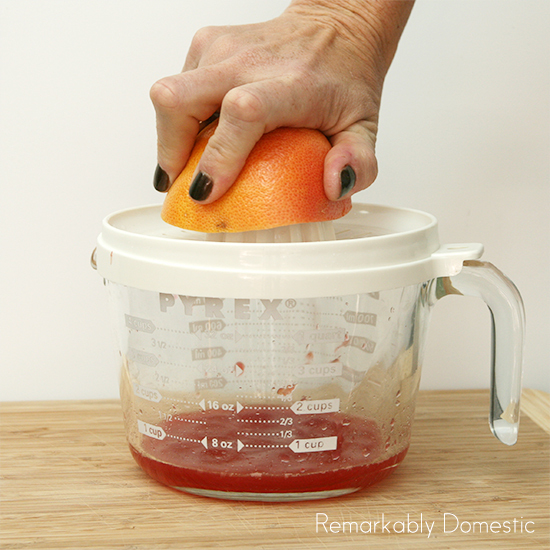 To start, you’ll want to juice all your citrus. 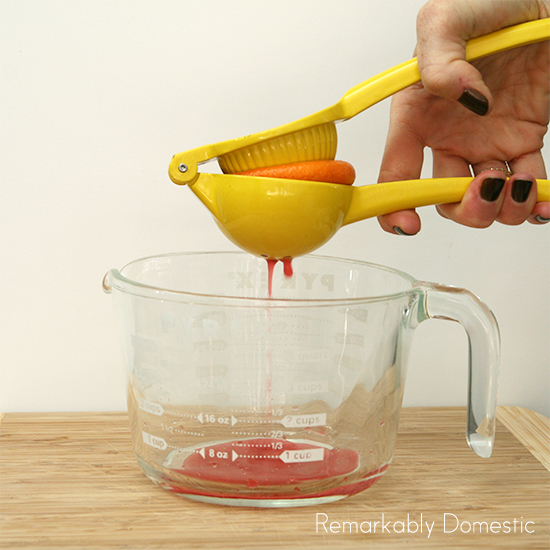 I like using this citrus squeezy thing, but you can also use a regular hand juicer (which you’ll probably need for the grapefruit, since it won’t fit in the squeezer. 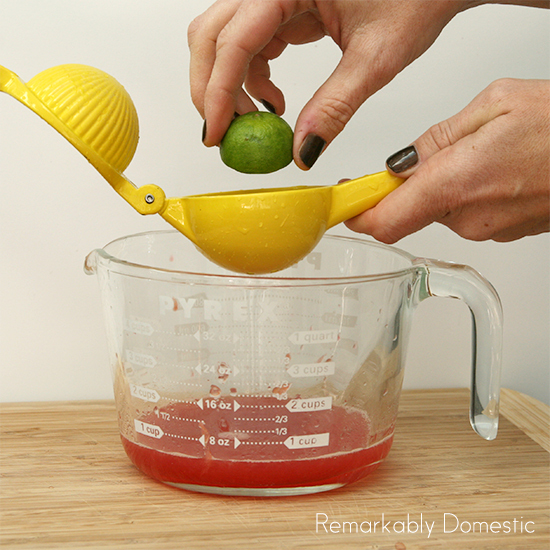 Those wee key limes fit in the squeezer, or you can just smash ‘em with your hands. Now you’ve got your juice. 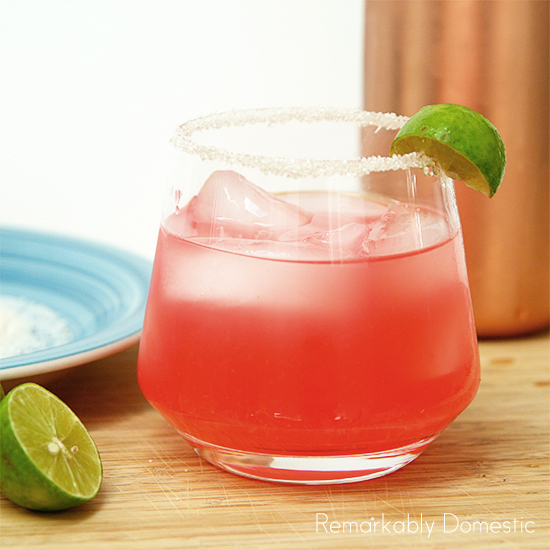 If you like your margaritas on the sweeter side, you could add some simple syrup or sugar at this point to sweeten it up. 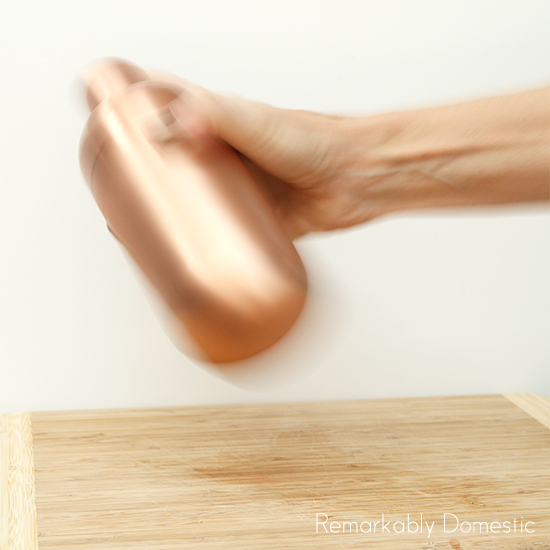 Now, gather your shaker and liquor. 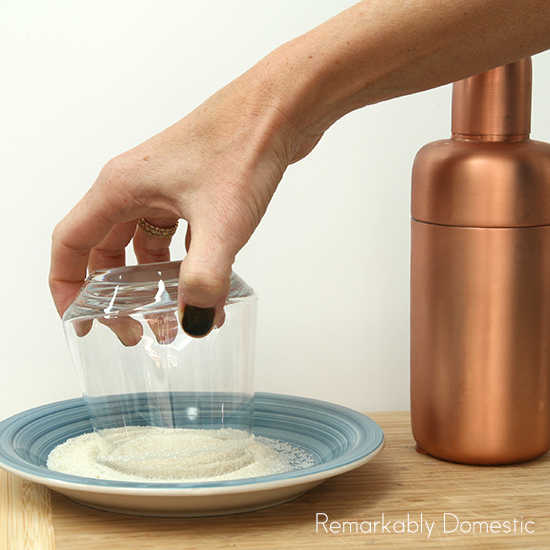 Fill the shaker with ice, and don’t skimp! Fill it to the top. Make sure you use the good stuff. Fill the shaker 1/3 of the way with tequila, and another 1/3 with your orange liquer (Triple Sec, Cointreau, Grand Marnier, whatevs). Now add your juice. 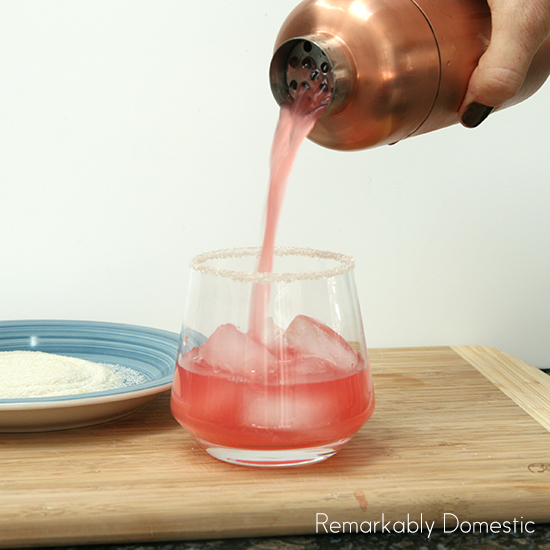 If you like, you can strain it if you don’t like any pulp in your ‘Rita. Now shake it like a Polaroid picture. I like to rim this glass with sugar instead of salt. You can use one of your leftover citrus rinds, running it around the rim of the glass to moisten it so it’ll take the sugar. 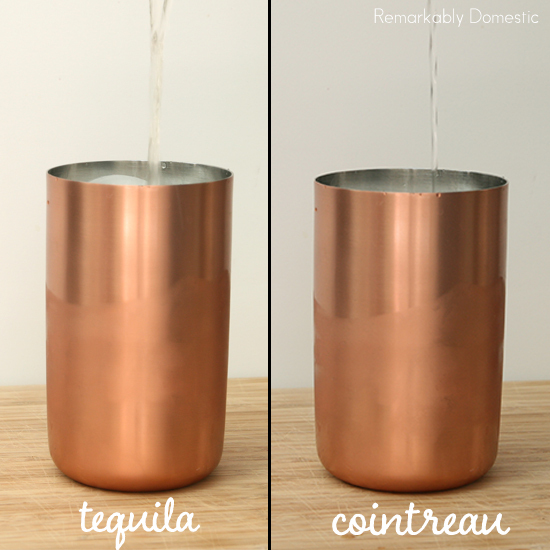 And then fill it with your classy cocktail! Go wild! And if you need some cool glasses to serve your fancy drink, check out some of the offerings here… I’m really digging the Cupa Rocks glasses that gently tilt on their own! 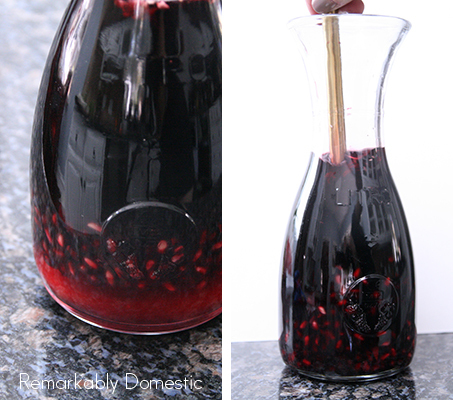 I should really probably call this Pomegranate “Basils” Sangria, because I used four different kinds of basil in this recipe. And it is so delicious! I want to remind everyone that the Pennington giveaway is still going on. 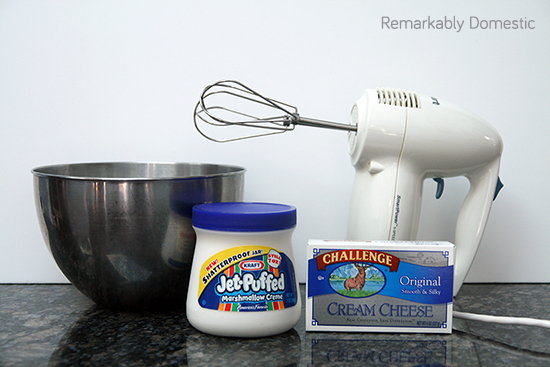 You can win a $50 American Express gift card! You can still enter; simply leave a comment on this post or my previous cocktail post with your favorite gardening tip. I will announce the winner on Friday, October 11. This sangria really lives up to its name, which comes from a Spanish word that means, “bleeding.” None of this white wine sangria, here, people. It’s like oxblood, which we all know is one of the on trend colors this fall. Just like last week’s cocktail, I went out to the garden and picked several varieties of basil to make this drink. Basil is fantastic to grow; it’s easy and there are so many readily available kinds, you can have a whole garden of different flavors. For reals, that first one is called “Holy Basil.” It’s actually used in Ayurvedic medicine and has a minty, clovey taste. 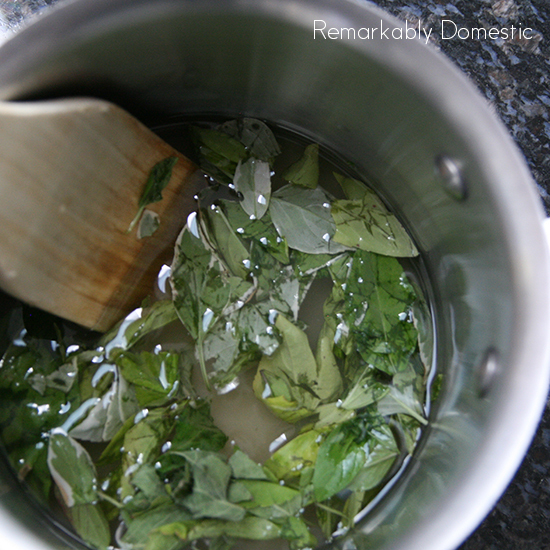 Thai basil is more common and has a slight licorice flavor. 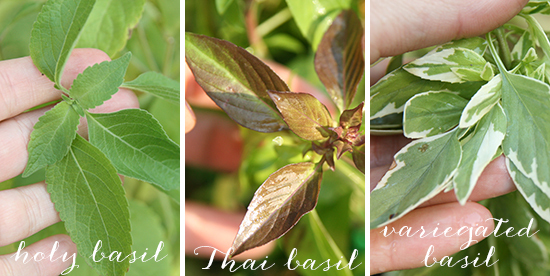 Variegated basil is also called Perpetuo basil since it doesn’t flower, and it also has a slightly spicy overtone. 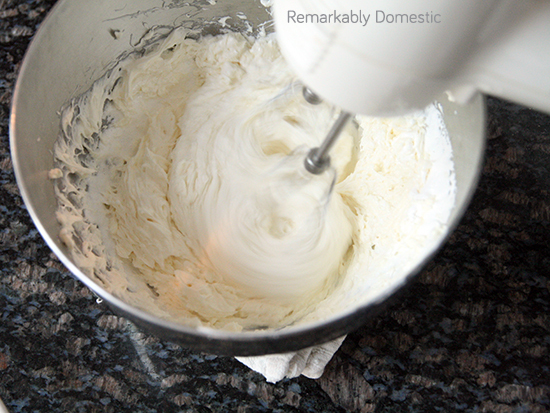 You can use whatever basil or basils you want for this recipe. 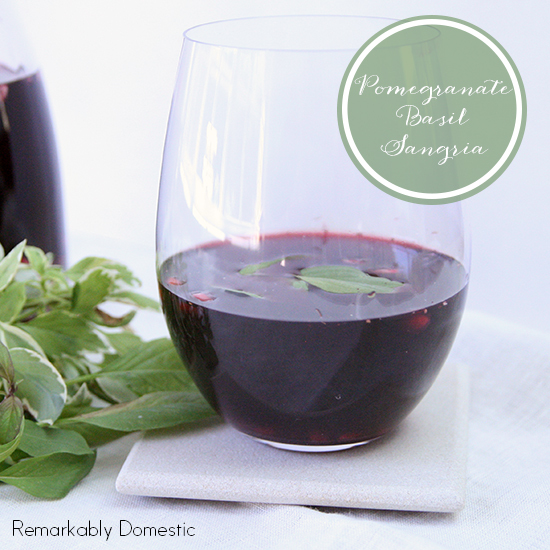 I say the more the merrier, but if you want to go traditional sweet basil, go for it! 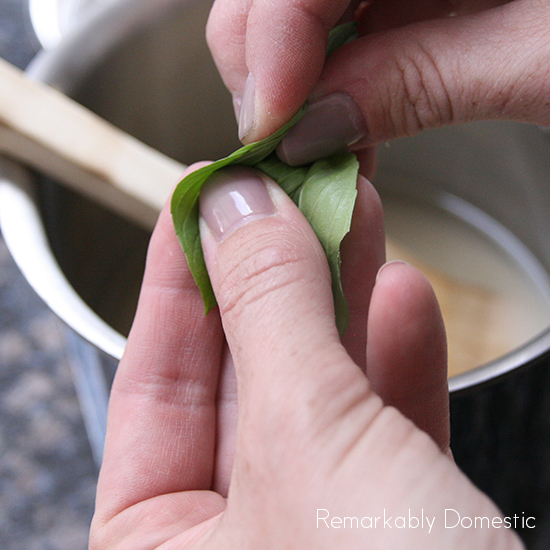 First, pick your basil and remove the leaves from the stems. I used about 40 leaves, 10 of each variety. 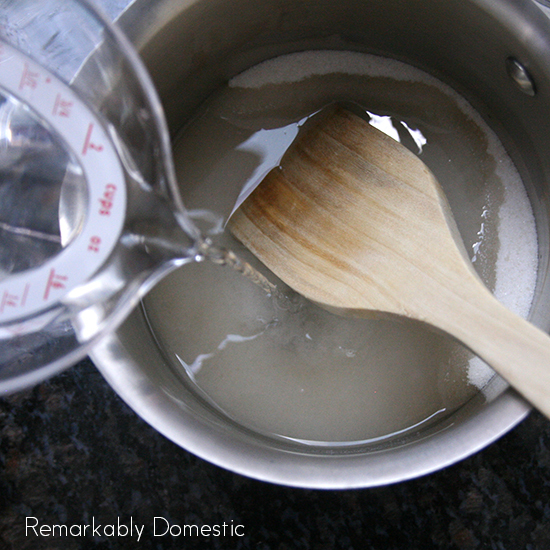 In a small saucepan, mix the sugar with the water. Add the herbs. 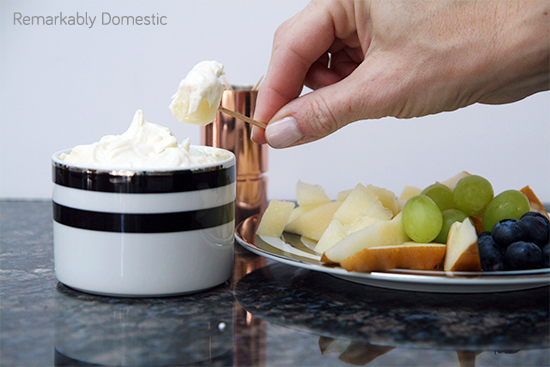 As you drop them in the saucepan, crush them a bit to begin to release their aromatic oils. Set the pot over medium low heat and bring to a boil. Reduce heat and simmer for about 10 minutes. Make sure all the sugar dissolves. 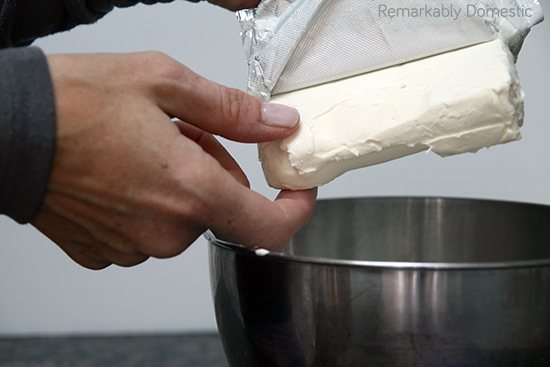 Remove from heat, strain, and let the syrup cool. 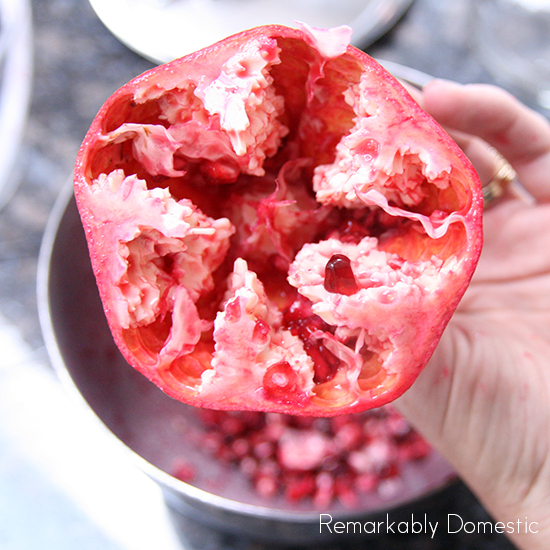 While the basil syrup is simmering, cut your pomegranate in half and remove the seeds. Do you know the super duper easy way to remove them? 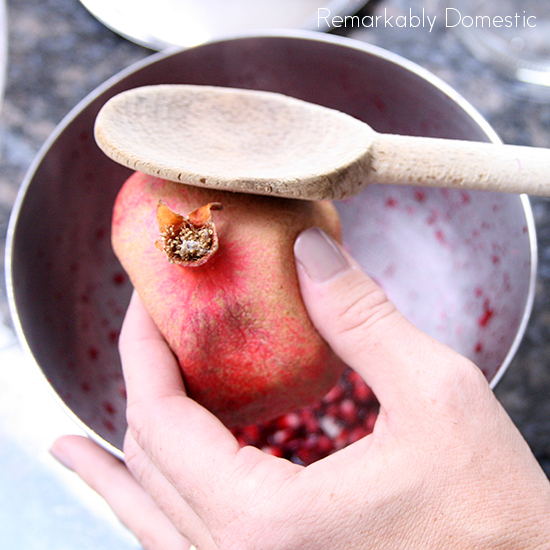 Over a bowl, simply turn the half pomegranate cut-side down in your hand, and pound the outside with a wooden spoon. Out come all the seeds and only a few stray pieces of flesh. It’s amazing! Although a little splattery. 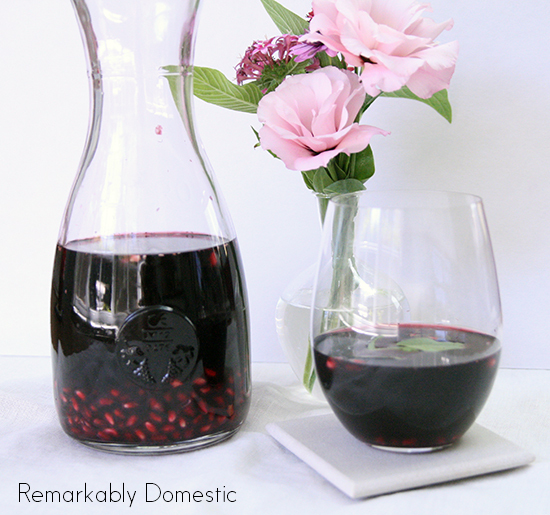 Once you’ve got your pomegranate ready, you can begin to assemble the sangria. 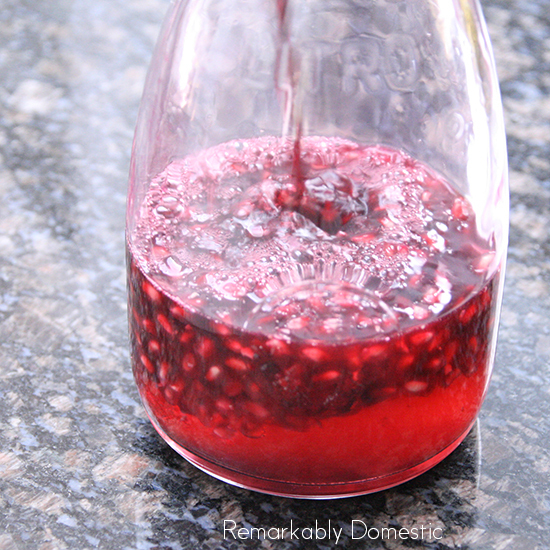 First, add the pomegranate seeds and juice, then about 1/2 c. of the basil syrup (more or less to taste). Finally, pour in the bottle of red wine. I used a nice Malbec which worked perfectly. 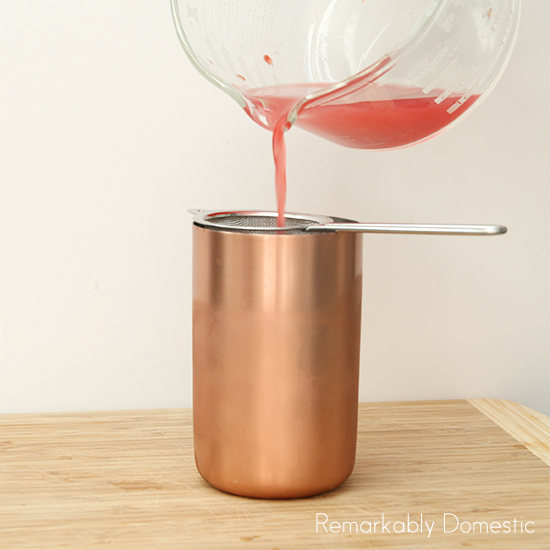 Mix it all up and let it steep for at least 30 minutes. 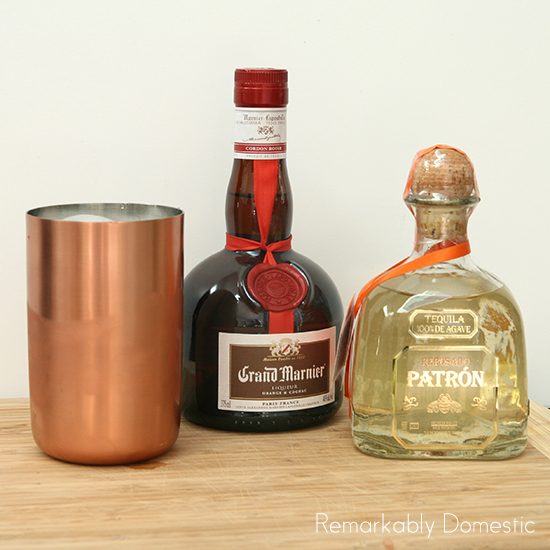 You can chill it while you are letting it steep, and even serve over ice. Garnish with some basil leaves. Delicious, right? Perfect to drink while wearing your new shoes and nail polish. 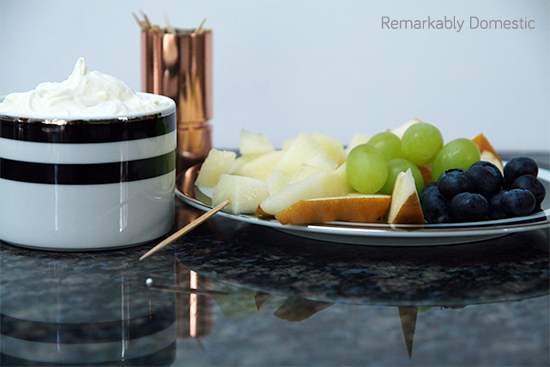 Back to School Cocktail: Coffeetini! By now, I think we’re all back to school. And what better way to celebrate being kidless during the day than with alcohol? In the past year or two, this drink has become my signature. 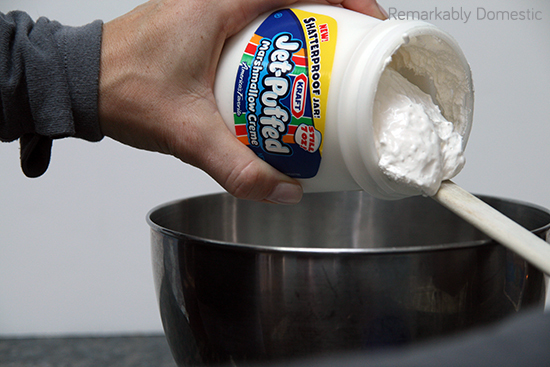 I learned how to make it at family camp, and I loved it so much that I didn’t stop. 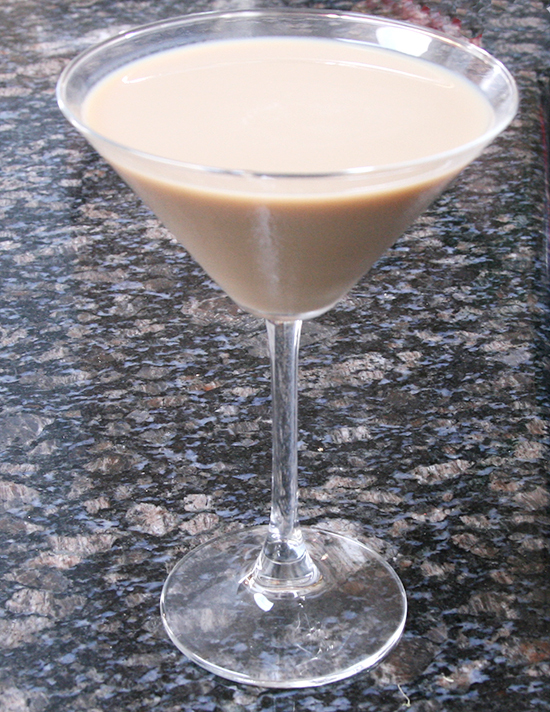 I made coffeetinis for anyone who was breathing and walked past the bar. It’s a great transition to fall drink, though. Nice and chilled, with a delicious creamy coffee flavor. It feels like summer and fall all wrapped into one. 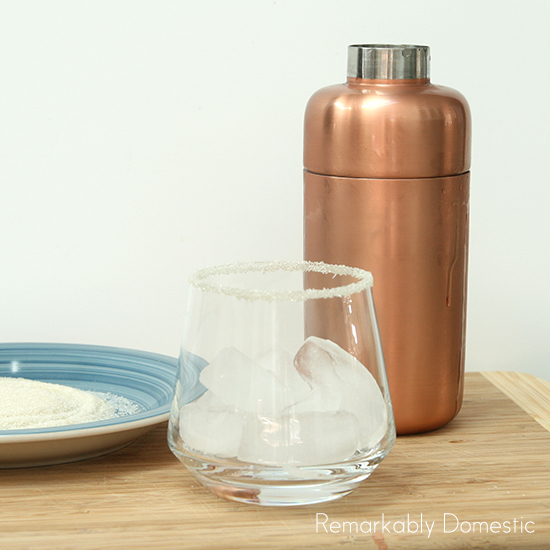 To start, fill your shaker (or glass) with ice. I’m not kidding, FILL IT. All the way to the top. 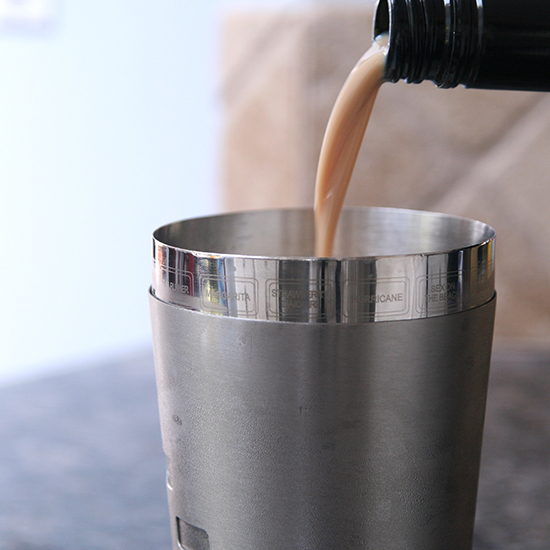 The recipe is simple; it’s simply equal parts of vodka, Bailey’s, and Kahlua. 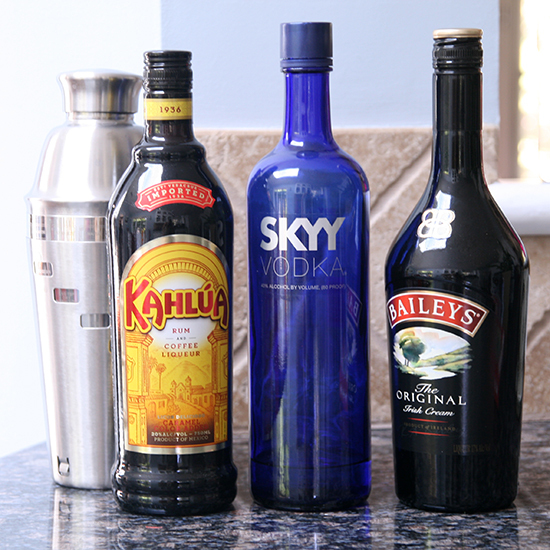 I always start with the vodka, although I’m not sure why. 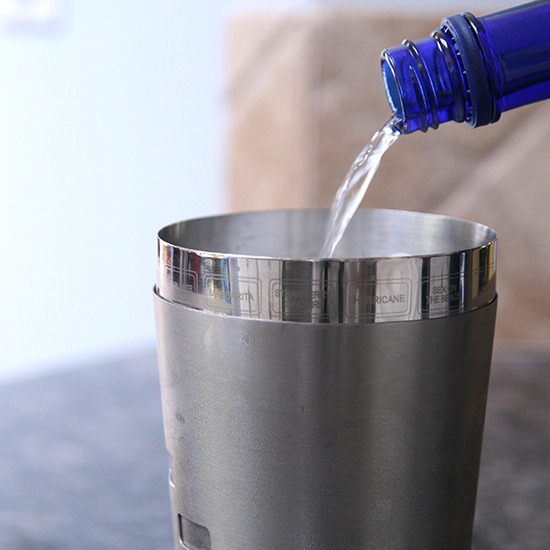 Fill your shaker 1/3 of the way with vodka. Then I move on to the Bailey’s. 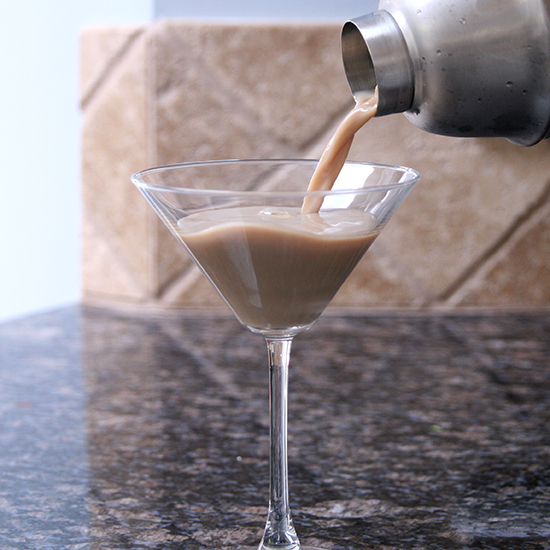 Good grief, I love Bailey’s. Again, another third of the way with the Bailey’s. One more third! Now comes the optional part. 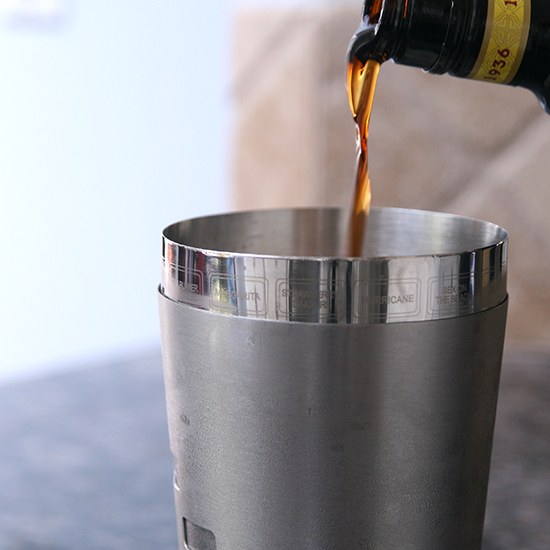 If you want to get wired while you are drunk, then add a shot of regular espresso. If you love a stronger coffee taste but don’t want the jitters, then add a shot of decaf espresso. If you are really crazy, as one of my family camp comrades is, you can even add a little chocolate milkshake. Whaaaat? 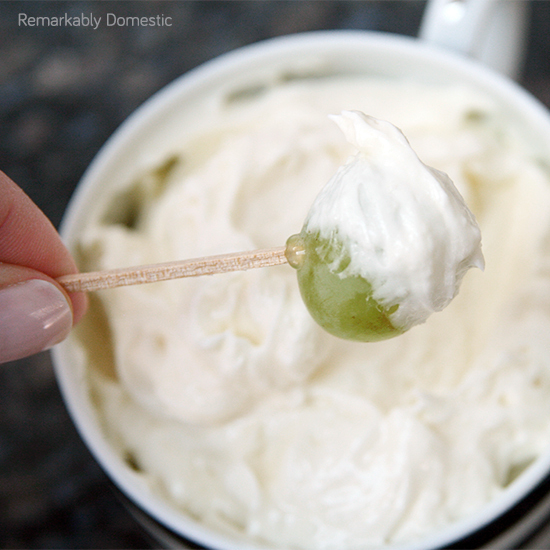 Shake it up real good, and pour it into your chilled martini glass. 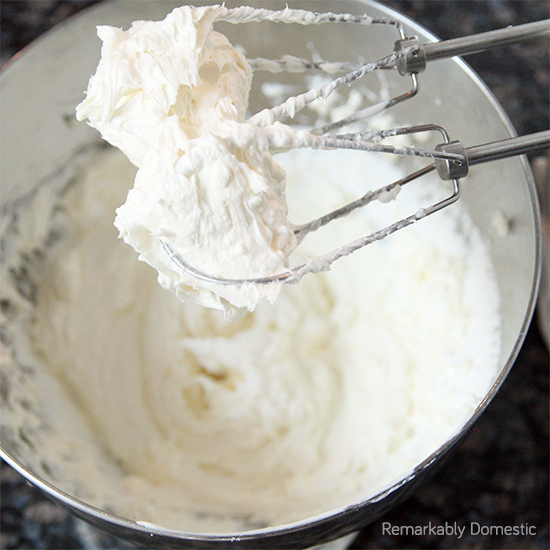 That is pure, creamy, cocktail goodness. Drink one of these every time you have to help with math homework, and you’re golden.